It’s 106 years ago today that the ‘unsinkable’ passenger liner, RMS Titanic, hit an iceberg and sank in just two hours and forty minutes. For years the tragedy was a matter of private internal horror: people didn’t talk about trauma then and only two years later the First World War broke out, eclipsing Titanic’s tragedy with its own tremendous tragedies. Then came the influenza epidemic, bringing tragedy upon tragedy, then there was a brief respite before the Second World War brought more terrible tragedy … so it wasn’t until the release of A Night to Remember in 1958 (a film based on a book by Walter Lord and starring Kenneth More) that public consciousness of the Titanic tragedy surfaced. 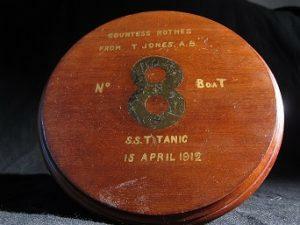 We make much of the Titanic tragedy these days (I include myself, I give a talk about my great-grandmother and the able seaman and how they worked together in Lifeboat No 8) but it is salutary to think that, at the time, many of the survivors never talked about it. What we want to see is not only the ability to capture likeness but to make art, to make something that tells us about what it is like to be alive today. 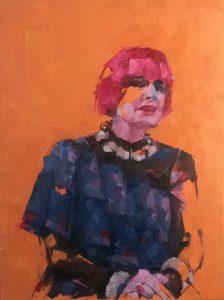 Portraits are about the specifics of a person at the same time as being about shared human experience and I like that to come across in the paintings being made during the competition. 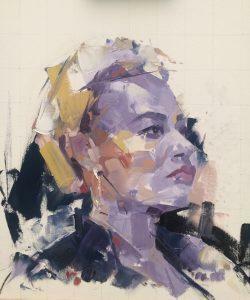 Portraiture has a long tradition, of course, but I always hope to see artists who have found a way to reinvigorate it or reinvent it with their unique artistic language. Addo’s work undoubtedly does that. But when Tai Shan Shierenberg was momentarily lost for words I thought he illustrated perfectly the point of great art: it doesn’t need words, it speaks for itself.